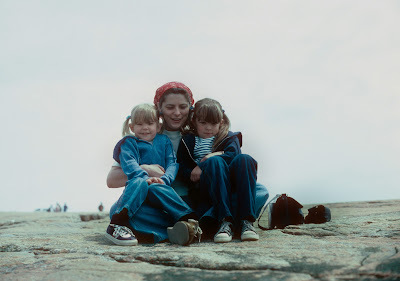 That was the day cancer stole my mother away from us. She was only 54 years old. She was the woman I confided in when the times were tough. My rock. She was one fantastic woman who taught me to be a strong, independent woman. And I thank her for that. I just wish she would have listened and quit smoking years ago. Perhaps we’d still have her around so she could enjoy her four beautiful grandchildren. I took it hard and didn’t deal with her death very well. I sunk into a depression and made some poor choices. Fortunately, with the love and support of my family and friends, the depression didn’t last very long. 6 years ago, I made a choice. A choice to be a healthy role model for my son. Someone who would start to enjoy life again. I needed this and my family needed me to do it. When I was growing up in Pennsylvania, my family vacationed in the Bar Harbor area every single year. Well, every single year until we moved to Maine in 1990. I have a great appreciation for Bar Harbor because my parents took me there as a child and I have many fond memories visiting the various places in Acadia National Park. 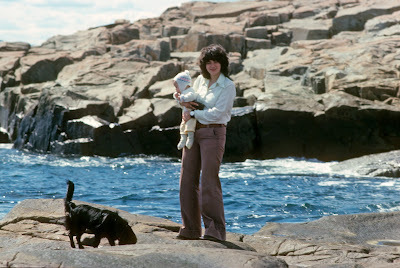 This weekend, I will return to MDI with my own family. I will enjoy every moment I have with them there, showing them this gorgeous area and all it has to offer. 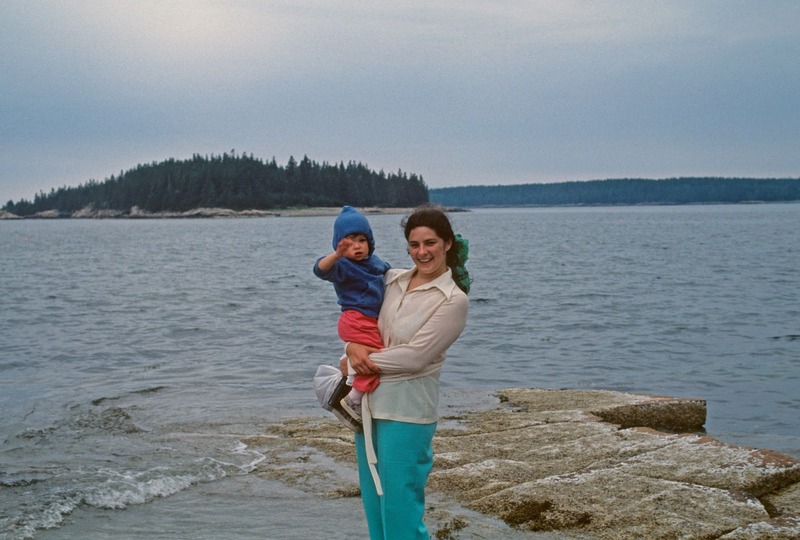 On Sunday, I will be running the MDI Marathon in memory of my mom, Anna Maletich. I know she’ll be there with me, every step of the way. Cheering me on. Hope you have the most amazing run this weekend, will be thinking of you & your family. ps in that last picture .... you SO look like your mom. Beautiful post, Jen. Tearing up... I just realized how Izzy looks so much like you when you were little! You are going to be so great this weekend...I hate that I can't be there, but I'll be cheering you on from afar. Do they have athlete tracking? Such a beautiful post. I love that you're running in her memory. She'll be there in your heart every step of the way! She'll be running right next to you in spirit, I'm sure, proud of the inspiring, strong, loving woman and mother you've become. Best of everything on Sunday! Your mom was very young. Sorry you lost her so soon. I feel your pain since my Dad is battling cancer as I write this. It has been a tough week for him but I know that he has the will to live and is a fighter. I dread the day that his battle ends. I love that you are running MDI for your mom and I know that she will be right there with you every step of the way. She will be the voice that tells you to push harder when you need that extra push to keep going strong. Good luck at MDI and I see something big happening for you, especially after you killed that 10K! Sorry for you loss:( I hope you have a wonderful family weekend and rock your race! Oh, Jenn... I'm so sorry to hear that you lost your mom when you and she were both so young... I'm so glad that you have great memories of her and I know you will share them with your children. They will know her through you. Good luck this weekend and I will think of you and your mom. This is a beautiful post. Many prayers for safe travels and marathon running! What a beautiful post! I'm sure she is smiling down on you as we speak. Lovely tribute to your Mother, Jen. I hope you and your family have a wonderful weekend and that your kids love all the sites you want to show them. Beautiful and powerful--thank you for sharing! Jen, you know your mom would be so proud of all that you have accomplished as a mother, wife, teacher, and athlete. I know that she is shining down on you and is with you every day, but she will be with you even more on Sunday as you run in a place she loved! Love you!!! Jen: So beautiful. You're going to have her there every step of the way... and you'll do so wonderfully! I'm sorry for your loss 6 years ago, but very happy you'll have this time up there, with your family, doing what you love, to be closer to her again. Good luck! Have an amazing run tomorrow! I will be thinking of you and your mom, of course I am sure she would be so proud of you! Great post! I'm sure your mom would have been very proud of the race that you ran yesterday, she was definitely there with you in spirit!